Canada has walked out of talks meant to save a trade deal with the European Union, unable to break a deadlock with a small Belgian region that was blocking next week's official signature. The departure of Canada's international trade minister was a stunning setback and leaves it unclear whether the rest of the EU will be able to persuade the region of Wallonia to sign up to the agreement. Canadian international trade minister Chrystia Freeland said it had been impossible to overcome the differences with Wallonia, a region of 3.5 million people. The agreement needed unanimity within the EU, and Belgium in turn needs unanimity among its regions. "It seems that for me, and for Canada, that the EU is not capable now to have an international deal, even with a nation with such European values like Canada," Ms Freeland said as she left. Close to tears, she added: "Canada is disappointed ... but I think it is impossible." The deal was supposed to be signed next week in Brussels by Canadian prime minister Justin Trudeau. The disagreement has pitted Wallonia against the entire EU and Canada, with populations of over 500 million and 35 million. An official at the European Commission, which has been steering the pact through negotiations, said it "doesn't consider that this is the end of the process". It is unclear how the EU will keep negotiating with Wallonia in coming days to solve the impasse. Wallonia wants more guarantees to protect its farmers and Europe's high labour, environmental and consumer standards. It also fears the agreement will allow huge multinationals - first from Canada, and later from the US, if a similar deal with Washington follows - to crush small Walloon enterprises and their way of life. Proponents say the deal would yield billions in added trade through tariff cuts and other measures to lower barriers to commerce. At the same time, the EU says it will keep in place the region's strong safeguards on social, environmental and labour issues. Paul Magnette, the president of Wallonia, spent hours talking with EU officials and Ms Freeland to find a compromise by the end of a two-day summit in Brussels. He had already pleaded that, "in an amicable way, we jointly postpone the EU-Canada summit and that we give ourselves time". EU leaders warned that failure to clinch the deal with Canada could ruin the 28-nation bloc's credibility as a trade partner and make it more difficult to strike agreements with other global allies like the US and Japan. As the leaders wrapped up the summit in Brussels, negotiations fell apart between officials from the EU Commission, regional leaders and Ms Freeland in Wallonia's capital, Namur, 40 miles away. German chancellor Angela Merkel, whose country is the EU's single biggest economy, said at the time that she was optimistic a deal would emerge from the talks. Manfred Weber, leader of the EPP Christian Democrats, the biggest group in the European Parliament, was less enthusiastic about local politics holding up such a significant international agreement. "Europe cannot be held hostage because of internal political games in the Walloon region," he said. A similar free trade agreement between the EU and the US is also being negotiated, but has met with far more opposition than the Canada pact. Progress on the US deal is highly unlikely any time before next month's presidential election. 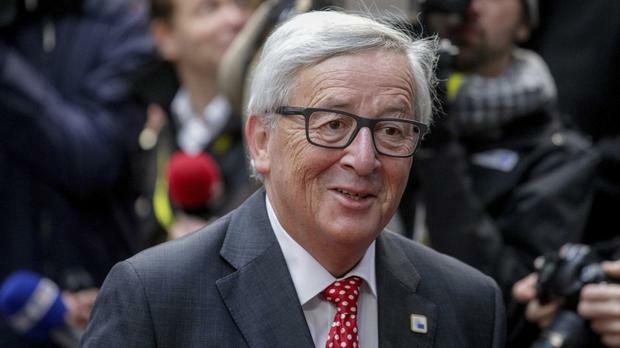 EU Commission president Jean-Claude Juncker said after the EU summit that he hoped a deal would be reached "within the next few days". Belgian prime minister Charles Michel said he had worked through the night in an effort to broker a deal.